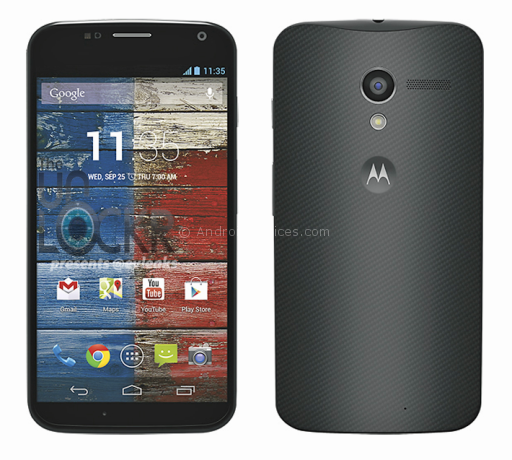 Moto X on Kit Kat 4.4 Android Firmware can now be rooted. So, for all those users who wanted to make the most of custom ROM firmwares and also the apps which need root access can now rejoice as in the due course of this article we will be checking out on how you can root the device with the help of simple steps. With the help of below mentioned steps, you can root the device. Just after the list of quick pre requisites mentioned below, you can head over to the detailed guide which will help you root the device. From the path “Settings > Applications > Development > USB debugging”, enable the USB Debugging in your device. Also, make sure that the device is left with the minimum of 40% battery life to make sure that just in case if the device doesn’t get turned Off in the middle of firmware update process. (If you can’t see the Developer Options, tap 8-9 times on Android version to become the developer for your Moto X). Make sure that your Moto X is running on Jellybean 4.2.2 Android firmware and also the ADB needs to be installed in your computer. Also, install the latest version of Cydia Impactor and also the latest version of Slap My Moto. Disclaimer: We should not be held responsible / liable in any manner for the damage happened to your Moto X due to not following instructions. Once you are done with the above mentioned steps, you can then proceed on to the next step where we have mentioned the detailed instructions with which you can root the device. First up, download the contents of Slapmymoto.zip archive to a folder in your computer. Once downloaded, open the Command Prompt or terminal window. Open the Cydia Impactor in your computer and in Cydia impactor, select the “”# start telnetd as system on port 2222″ option and click on Start. Again, toggle Bluetooth after entering the above command; the device will reboot within a minute. Up next, all you need to do is to just install the Super SU from PLAY Store. Note: If your MOTO X gets in the boot loop sequence then you need to turn off the device and then reapply the update from the start. To turn off you can reinsert the battery or say you can long press the power button. To check on whether your device is rooted or not, you need to download the “Root Checker” app from the Google PLAY Store. Very soon we will come out with the custom ROM firmwares which are based on the Kit Kat 4.4 Android firmware. Do let us know in the comments section just in case if you face any issues in the process of rooting. So there you go, you have successfully rooted your device.